Phosphatidylinositol 3-OH kinases (PI3Ks) regulate beta cell mass, gene transcription, and function, although the contribution of the specific isoforms is unknown. As reduced type 1A PI3K signalling is thought to contribute to impaired insulin secretion, we investigated the role of the type 1A PI3K catalytic subunits α and β (p110α and -β) in insulin granule recruitment and exocytosis in rodent and human islets. The p110α and p110β subunits were inhibited pharmacologically or by small hairpin (sh)RNA-mediated knockdown, and were directly infused or overexpressed in mouse and human islets, beta cells and INS-1 832/13 cells. Glucose-stimulated insulin secretion (GSIS), single-cell exocytosis, Ca2+ signalling, plasma membrane granule localisation, and actin density were monitored. Inhibition or knockdown of p110α increased GSIS. This was not due to altered Ca2+ responses, depolymerisation of cortical actin or increased cortical granule density, but to enhanced Ca2+-dependent exocytosis. Intracellular infusion of recombinant PI3Kα (p110α/p85β) blocked exocytosis. Conversely, knockdown (but not pharmacological inhibition) of p110β blunted GSIS, reduced cortical granule density and impaired exocytosis. Exocytosis was rescued by direct intracellular infusion of recombinant PI3Kβ (p110β/p85β) even when p110β catalytic activity was inhibited. Conversely, both the wild-type p110β and a catalytically inactive mutant directly facilitated exocytosis. Type 1A PI3K isoforms have distinct and opposing roles in the acute regulation of insulin secretion. While p110α acts as a negative regulator of beta cell exocytosis and insulin secretion, p110β is a positive regulator of insulin secretion through a mechanism separate from its catalytic activity. The online version of this article (doi: 10.1007/s00125-013-2882-4) contains peer-reviewed but unedited supplementary material, which is available to authorised users. Phosphatidylinositol 3-OH kinases (PI3Ks) have important roles in the control of islet mass and function. The chronic genetic impairment of upstream PI3K signalling in islets [1, 2, 3, 4] demonstrates an important positive role for this pathway in maintaining islet function. Genetic ablation of the classic tyrosine-kinase-linked PI3Ks causes reduced islet mass and insulin secretion . This is contrasted by increases in glucose-stimulated insulin secretion (GSIS) observed with pharmacological PI3K inhibition [6, 7, 8]. While consistent with the idea of an acute negative feedback role for insulin [9, 10], these reports rely on non-selective inhibitors. Of the three different classes of PI3K isoforms expressed in the endocrine pancreas [11, 12, 13, 14], the type 1 isoforms are the most studied. These are composed of regulatory and catalytic subunits that catalyse the phosphorylation of phosphatidylinositol-4,5-bisphosphate to generate phosphatidylinositol (3,4,5)-trisphosphate . Type 1 PI3Ks are further divided into type 1A and 1B subsets, regulated by tyrosine kinase and G-protein-coupled receptors, respectively [5, 16, 17]. The catalytic subunit of type 1A PI3Ks is one of three p110 isoforms (α, β and δ). These associate with one of five regulatory subunits: p50α, p55α, p55γ, p85α (encoded by a single gene); or p85β . Pharmacological inhibition of these type 1A isoforms (in a manner that is non-specific between p110α, p110β and p110δ) enhances insulin secretion . The type 1B PI3K consists of p110γ catalytic and p101 regulatory subunits and, although upregulated by glucose-dependent insulinotropic polypeptide , contributes a minor fraction of islet PI3K activity. We showed previously that inhibition of p110γ blunts insulin secretion by increasing the density of cortical actin and preventing insulin granule trafficking to the plasma membrane [20, 21]. Type 1A PI3K isoforms account for the majority of islet PI3K activity . Human beta cells express p110α (also known as PIK3CA) and p110β (also known as PIK3CB) mRNA , and INS-1 cells demonstrate p110α- and β-associated lipid kinase activity . Upregulation of the type 1A PI3K is associated with islet compensation in db/db mice . Decompensation in this model is associated with loss of type 1A PI3K signalling, and is mimicked by the beta cell-specific ablation of type 1A PI3Ks . This was accomplished by knockout of the p85 regulatory subunits, which also causes a loss of p110α and β proteins . Given the importance of type 1A PI3Ks to secretory dysfunction in type 2 diabetes, we investigated the role of p110α and β catalytic subunits in human and rodent beta cell function. Using selective pharmacological inhibition and small hairpin (sh)RNA-mediated knockdown we demonstrate that p110α negatively regulates GSIS by limiting Ca2+-dependent exocytosis. In contrast, p110β exerts a positive insulinotropic effect by increasing beta cell exocytosis independent of its catalytic activity, perhaps by increasing cortical granule density. Thus, the catalytic subunit isoforms of the type 1A PI3K play opposite and distinct roles in the acute regulation of insulin secretion in rodents and humans. Islets from male C57/BL6 mice were isolated by collagenase digestion and hand-picking. Human islets, from 17 healthy donors (48 ± 3 years of age), were from the Clinical Islet Laboratory at the University of Alberta (Edmonton, AB, Canada). Islets were dispersed to single cells in Ca2+-free buffer. INS-1 832/13 cells were a gift from C. Newgard (Duke University, Durham, NC, USA). Islet and cell culture was as described previously [21, 23] and are detailed in the electronic supplementary material (ESM Methods). All studies were approved by the Animal Care and Use Committee and the Human Research Ethics Board at the University of Alberta. Three p110α and two p110β shRNA sequences targeting identical regions in mouse, rat and human, and a scrambled control (ESM Table 1) were generated using small interfering (si)RNA target finder software from Genscript (Piscataway, NJ, USA) and were synthesised as described previously . These were transfected into INS-1 832/13 or human beta cells by lipid transfection (Lipofectamine 2000) or expressed via recombinant adenovirus . Plasmids containing wild-type p110β (p110β WT) and p85α were from GeneCopoeia (Rockville, MD, USA). A catalytically inactive p110β mutant (p110β K805R)  was generated using the QuickChange (Agilent Technologies, Santa Clara, CA, USA) mutagenesis protocol. The islet amyloid polypeptide (IAPP)-mCherry was as described previously . The green-fluorescent-protein (GFP)-tagged pleckstrin homology (PH) domain (GFP-PHAkt) was a gift from A. Tengholm (Uppsala, Sweden) . Recombinant human PI3Kβ (p110β/p85β) was from Genway Biotech (San Diego, CA, USA). Recombinant human PI3Kα (p110α/p85β) was from Abcam (Toronto, ON, Canada). Glutathione S-transferase (GST) was from Sigma Aldrich Canada (Oakville, ON, Canada). PIK-75 and TGX-221 (Symansis, Shanghai, China) are ATP-competitive inhibitors of p110α (IC50 = 8 nmol/l for p110α vs 907 nmol/l for p110β)  and p110β (IC50 = 9 nmol/l for p110β vs 1 μmol/l for p110α) , respectively. These exhibit no notable activity against a wide array of kinases at 1 and 10 μmol/l, respectively . AZD6482 (Selleckchem, Houston, TX, USA) inhibits p110β with an IC50 of 21 nmol/l (vs 1.4 μmol/l for p110α) . Wortmannin is a covalent inhibitor of PI3Ks, displaying similar potency for types I, II and III PI3Ks . Cell lysates were subjected to SDS-PAGE and transferred to polyvinylidene difluoride membranes (Millipore, Billerica, MA, USA), probed with primary antibodies (anti-p110α, anti-p110β, anti-p110γ, anti-p85 [Cell Signaling Technology, Beverly, MA, USA]; anti-β-actin, anti-Akt and anti-phosphorylated-Akt [p-Akt, Ser473] [Santa Cruz Biotechnology, Santa Cruz, CA, USA]), detected with peroxidase-conjugated secondary anti-rabbit antibodies (Santa Cruz Biotechnology), and visualised by chemiluminescence (ECL-Plus; GE Healthcare, Mississauga, ON, Canada) and exposure to x-ray film (Fujifilm, Tokyo, Japan). The sizes of p110α and p110β were confirmed using overexpression constructs and loss of bands following shRNA knockdown. We used the standard whole-cell technique with the sine + DC lockin function of an EPC10 amplifier and Patchmaster software (HEKA Electronics, Lambrecht/Pfalz, Germany). Experiments were performed at 32–35°C. Solutions used for capacitance and voltage-dependent Ca2+ current measurements are described (ESM Methods). Capacitance responses and Ca2+ currents were normalised to initial cell size and expressed as femtofarad per picofarad (fF/pF) and picoampere per pF (pA/pF). Mouse beta cells were identified by size and the presence of a voltage-gated Na+ current that inactivates at approximately −90 mV , whereas human beta cells were positively identified by insulin immunostaining. Insulin secretion measurements were performed at 37°C in KRB (in mmol/l: 115 NaCl, 5 KCl, 24 NaHCO3, 2.5 CaCl2, 1 MgCl2, 10 HEPES; and 0.1% BSA, pH 7.4). Fifteen mouse or human islets per group (in triplicates) were pre-incubated for 2 h in 2.8 or 1 mmol/l glucose KRB, respectively, then for 30 min or 1 h in these basal buffers followed by either 30 min or 1 h with 16.7 mmol/l glucose. Acid/ethanol extractions were used for insulin content. Human islet perifusion was performed at 37°C using a Brandel SF-06 system (Gaithersburg, MD, USA) after a 2 h pre-incubation in KRB with 1 mmol/l glucose. Thirty-five islets per lane were perifused (0.5 ml/min) with KRB with glucose as indicated. Samples, stored at −20°C, were assayed for insulin via enzyme-linked immunosorbent assay (Alpco, Salem, NH, USA). Total internal reflection fluorescence (TIRF) imaging was performed as described previously . For visualisation of actin, fixed cells were stained with Alexa Fluor rhodamine-conjugated phalloidin (Invitrogen, Madison, WI, USA). Secretory granules were visualised by transfection with IAPP–mCherry that localises to insulin granules. Co-expressed cytosolic GFP was used to determine cell footprint and images were analysed with ImageJ 1.38x (National Institutes of Health) as previously described . For the measurement of intracellular Ca2+ ([Ca2+]i), islets were incubated for 45 min with 10 μmol/l Fura Red-AM (Invitrogen, Carlsbad, CA, USA) and 0.08% pluronic acid (Invitrogen) in an extracellular imaging solution (ESM Methods). Islets were then imaged in fresh imaging solution with 0.5 mmol/l glucose at 37°C and the glucose concentration was increased as indicated. Fluorescence was measured every 5 s at 440 nm and 490 nm (excitation). Emission was collected using a 660/50 nm bandpass filter. Images were analysed with Ratio Cam software (Metamorph, Sunnyvale, CA, USA). For measurement of PI3K activation, INS-1832/13 cells expressing GFP-PHAkt were treated with insulin (200 nmol/l, 20 min). Cells were visualised on a Perkin Elmer ERS6 spinning disk confocal microscope with a ×100/1.4 NA lens and Hamamatsu 9100–50 EMCCD camera with Volocity 5.2 software (Perkin Elmer, Waltham, MA, USA). For single-cell studies the n values represent the number of cells studied, from at least three separate experiments. For Ca2+ imaging, n values represent the number of islets studied from four experiments. For GSIS studies, n values represent the numbers of distinct islet preparations (each in triplicate). Electrophysiology data were analysed using FitMaster v2.32 (HEKA Electronik). All data were analysed using the Student’s t test. The Student’s t test (with a Bonferroni correction) was used with a post hoc one-way ANOVA where more than two groups were present. The Grubb’s test was used to remove outliers. Data are expressed as means ± SE, and p < 0.05 was considered significant. We detected mRNA expression of p110α and p110β, but not p110δ, in INS-1 832/13 cells and mouse islets by RT-PCR (not shown). The presence of p110α and β proteins was confirmed by western blots of human and mouse islet and INS1 832/13 cell lysates (Fig. 1a), in agreement with reports indicating mRNA expression of these in human islets , and lipid kinase activity in INS-1 cells . Pharmacological inhibition of p110α with PIK-75 (100 nmol/l, overnight) in mouse islets increased GSIS 1.8-fold (n = 5, p < 0.05; Fig. 1b) without affecting p110α or p110β protein levels (ESM Fig. 1a) or insulin content. Overnight inhibition with PIK-75 was needed to observe the full effect (ESM Fig. 1b). Consistent with previous studies [31, 32], non-specific inhibition of PI3Ks with wortmannin (100 nmol/l), increased GSIS by 2.4-fold (n = 5, p < 0.05; Fig. 1b). In line with previous reports suggesting that wortmannin also inhibits other classes of PI3Ks and related enzymes such as mammalian target of rapamycin (mTOR) and myosin light chain kinase [33, 34], we observed a further 1.4-fold increase (n = 4, p < 0.05) in insulin secretion with wortmannin treatment when p110α was inhibited (ESM Fig. 1c). Pharmacological inhibition of p110β with TGX-221 (100 nmol/l, overnight) had no effect on GSIS from mouse islets (n = 5; Fig. 1b), indicating that p110β activity may not be a crucial regulator of insulin secretion. Production of p110α or p110β was unaffected following overnight treatment (ESM Fig. 1a). To ensure efficacy of the p110β inhibitor, we examined recruitment of GFP-PHAkt  to the plasma membrane of INS-1 832/13 cells following insulin stimulation (200 nmol/l). Insulin treatment increased GFP-PHAkt recruitment to the plasma membrane by 1.6-fold (n = 21, p < 0.01) in control cells, but had no effect in cells treated with TGX-221 (100 nmol/l, overnight) (n = 24; Fig. 1c, d). To further confirm the lack of effect of p110β inhibition we tested another p110β inhibitor, AZD6482 (100 nmol/l, overnight), and this had no effect on GSIS (n = 4; Fig. 1e). An adenoviral-shRNA construct targeted against p110α (Adsh-p110α) reduced p110α protein in INS-1 832/13 cells by 41% (n = 3, p < 0.05) compared with an adenoviral-shRNA scrambled control (Adscram), while production of p110β, p110γ and p85 was unaffected (Fig. 2a). Similarly, an adenoviral-shRNA construct targeted against p110β (Adsh-p110β) reduced p110β protein in INS1 832/13 cells by 78% (n = 3, p < 0.05) compared with Adscram, without affecting p85 or p110γ (Fig. 2a), which can functionally compensate for p110β . Knockdown of p110α resulted in a 1.8-fold increase in GSIS (n = 6, p < 0.05; Fig. 2b), consistent with the pharmacological inhibition of p110α. Surprisingly, in contrast to the negligible effects of the p110β inhibitors, p110β knockdown reduced insulin secretion by 53% (n = 6, p < 0.05; Fig. 2b), suggesting that the presence of p110β protein, rather than its activity, may be critical. Insulin content was unchanged following either p110α or p110β knockdown. Additionally, there was no difference in glucose-stimulated [Ca2+]i responses following p110α knockdown compared with the scrambled control (n = 16–18; Fig. 2c), while there was a modest but significant 8.5% decrease (n = 14–18, p < 0.05; Fig. 2c) in the glucose-stimulated [Ca2+]i response following p110β knockdown. Whole-cell capacitance increases in response to a train of membrane depolarisations were monitored as a measure of exocytosis, which was increased in mouse beta cells by 1.8-fold on p110α knockdown (n = 20–21, p < 0.01; Fig. 3a). This was not secondary to changes in Ca2+ channel activity (ESM Fig. 2), consistent with the lack of effect on [Ca2+]i responses, and was similar between three distinct p110α-targeted shRNA sequences (ESM Fig. 3). Conversely, exocytosis was decreased by 60% in mouse beta cells following knockdown of p110β (n = 18–21, p < 0.001; Fig. 3b), while the pharmacological inhibition of p110β (100 nmol/l TGX-221) had no effect (n = 13–16; Fig. 3c), suggesting that p110β may affect exocytosis independently of its catalytic activity. Despite the small but significant decrease in islet [Ca2+]i, we were unable to detect a significant reduction in Ca2+ channel activity following p110β knockdown in INS-1 832/13 (ESM Fig. 2) or mouse beta cells (n = 17–21; Fig. 3d), though the latter may trend towards decreased Ca2+ current. Nonetheless, these data indicate that the modest decrease in [Ca2+]i does not account for the impaired exocytosis following p110β knockdown, an effect observed using two distinct p110β-targeted shRNAs (ESM Fig. 3). We next directly infused PI3Kα and PI3Kβ (p110α/p85β and p110β/p85β heterodimers) into INS-1 832/13 cells (Fig. 4). In cells expressing scrambled shRNA, infusion of PI3Kα (1 μg/ml, 3 min) blunted exocytosis by 86% (n = 9–20, p < 0.001; Fig. 4). Furthermore, infusion of PI3Kα reduced exocytosis following p110α knockdown to levels similar to that following PI3Kα infusion in the control cells (n = 23–27, p < 0.001; Fig. 4). Conversely, the direct infusion of PI3Kβ (1 μg/ml, 3 min) into INS-1 832/13 cells expressing the scrambled shRNA increased exocytosis by 1.7-fold (n = 9–20, p < 0.01), and was sufficient to rescue the impaired exocytotic response following p110β knockdown (n = 20–22, p < 0.001; Fig. 4). The observation that p110β knockdown, but not pharmacological inhibition, blunts GSIS and exocytosis suggests a role for the PI3Kβ isoform that is independent of its kinase activity. Thus, we infused PI3Kβ directly into mouse beta cells while inhibiting p110β catalytic activity with 100 nmol/l TGX-221. In mouse beta cells expressing the scrambled shRNA, infusion of PI3Kβ increased exocytosis by 2.1-fold (n = 10–11, p < 0.05; Fig. 5b). Furthermore, while p110β knockdown decreased exocytosis by 50% on infusion of a control peptide (GST) (n = 9–11, p < 0.01; Fig. 5a), infusion of PI3Kβ (1 μg/ml for 3 min together with 100 nmol/l TGX-221) rescued the exocytotic response (n = 9–12, p < 0.001; Fig. 5b). The fact that this occurs in the presence of the p110β inhibitor TGX-221 supports the idea that p110β increases exocytosis and insulin secretion independent of its catalytic activity. To test this more directly, we generated a catalytically inactive mutant (p110βK805R) as characterised previously . We co-expressed the wild-type p110β (p110βWT) or p110βK805R together with p85 (required for p110 expression) in INS-1 832/13 cells. These were produced at similar levels and displayed the expected activities, as detected by changes in p-Akt compared with a GFP-only control (Fig. 5c). INS-1 832/13 cells producing either p110βWT or p110βK805R showed identical 2.3-fold increases (n = 13–17, p < 0.01) in exocytosis compared with cells producing GFP alone (Fig. 5d, e). As cortical actin is an important determinant of the exocytotic response , our recent demonstration that p110γ controls cortical actin in beta cells , and the recent demonstration that p110δ inhibition leads to actin depolymerisation and secretory granule recruitment in neurosecretory cells [21, 37], we examined whether p110α or p110β knockdown influences actin density and/or secretory cortical granule density by TIRF microscopy of INS-1 832/13 cells. Cortical actin density was unaffected by knockdown of either p110α or p110β (n = 33–34 and n = 31–33; Fig. 6a). While the density of cortical secretory granules labelled with IAPP-mCherry [21, 37] was slightly decreased (22%) following knockdown of p110α (n = 39–48, p < 0.05; Fig. 6b), this cannot account for the increased secretory and exocytotic responses observed. Knockdown of p110β, however, resulted in a 61% reduction of cortical secretory granules (n = 38–48, p < 0.001; Fig. 6b). While this was similar to the previous observation on knockdown of the type 1B p110γ isoform , we could not rescue cortical granule density with forskolin (5 μmol/l, 10 min, n = 39–48, p < 0.001) (Fig. 6b) as we could in the previous study. This reduction in cortical granule density may contribute to impaired exocytosis on p110β knockdown, but appears to occur independently of any major changes in cortical actin density at the time point studied here. In line with our observations in mouse islets, inhibition of p110α (PIK-75, 100 nmol/l, overnight) increased GSIS by twofold (n = 7 donors, p < 0.05; Fig. 7a) in non-diabetic human islets, while wortmannin (100 nmol/l, overnight) increased in GSIS by 3.2-fold (n = 7 donors, p < 0.05; Fig. 7a). The relatively larger effect of wortmannin may suggest a greater contribution of the type II and III PI3Ks in humans than in mice. In human islets the p110β inhibitor TGX-221 (100 nmol/l, overnight) had no effect on GSIS (n = 7 donors; Fig. 7a), while p110β knockdown resulted in decreased GSIS (n = 3 donors, p < 0.05; Fig. 7b), with no change in total insulin content. Again, similar to observations in mouse, the GSIS results were paralleled by changes in beta cell exocytosis. Overnight inhibition of p110α (100 nmol/l PIK-75) increased human beta cell exocytosis by 1.4-fold (n = 16–21, from five donors, p < 0.05; Fig. 7c), while inhibition of p110β (100 nmol/l TGX221, overnight) had no effect (n = 14–17, from four donors; Fig. 7d). However, when p110β was knocked down using shRNA, the total capacitance response was decreased by 54% (n = 21–22, from four donors, p < 0.05; Fig. 7e) in human beta cells. We showed previously that p110γ, the sole type 1B PI3K catalytic subunit, positively regulates insulin secretion by controlling cortical actin density and targeting of secretory granules to the plasma membrane . However, this G-protein-coupled PI3K is responsible for only a fraction of islet PI3K activity, while the classic tyrosine-kinase-linked type 1A isoforms account for the majority [7, 19, 26]. The importance of type 1A isoforms has been recently demonstrated by work showing that levels of these decline together with islet secretory function in db/db mice , and knockout of type 1A PI3K activity in islets (through deletion of p85α [also known as Pik3r1] in the beta cells and p85β [also known as Pik3r2] globally) recapitulates an islet secretory defect. Interestingly, loss of p85 also causes the loss of p110α and β proteins [38, 39], although the specific function of these isoforms in insulin secretion is unknown. Therefore, we investigated the roles of these type 1A PI3K catalytic subunits in insulin secretion in rodent and human islets. Mouse and human islets produce p110α and p110β at the protein level, consistent with mRNA expression data in humans  and enzymatic activity in insulinoma cells . The third type 1A isoform, p110δ which is expressed mainly in white blood cells , is not present. The commonly used PI3K inhibitors, including wortmannin, are non-selective for these (and other) PI3K isoforms and may account for findings ascribing both negative [6, 7, 8] and positive [1, 2, 3, 4, 5] roles to PI3K in insulin secretion. Using isoform-selective inhibitors and shRNA-mediated knockdown we find that p110α and p110β surprisingly play opposite roles in the control of insulin secretion. While these have important effects in determining islet mass and gene transcription [41, 42], we observed no changes in insulin content on relatively acute PI3K inhibition. Distinct roles for p110α and p110β have previously been suggested: for example, in Akt activation in myoblasts  and in platelet-derived-growth-factor-induced actin reorganisation in porcine aortic endothelial cells . We demonstrate that p110α activity negatively regulates insulin secretion. While this is in apparent contrast to the deleterious effects arising from knockout of insulin receptor signalling [1, 2] or type 1A PI3Ks , it is notable that our inhibition of p110α was relatively acute (either overnight or by 3 day exposure to shRNA) and not sufficient to affect insulin content. The p110α inhibitor PIK-75 had little effect when added at the time of glucose stimulation, however, unlike the effect of the pan-PI3K inhibitor wortmannin (ESM Fig. 1). While we cannot entirely exclude the possibility of off-target effects of PIK-75 during the overnight treatment, this finding suggests that the acute insulinotropic effect of wortmannin is likely to be due to its inhibition of other PI3Ks [7, 29, 33, 34]. Though longer-term suppression of p110α activity is expected to result in reduced islet mass or insulin content, our results are consistent with short-term in vivo inhibition of p110α which increases insulin secretion . 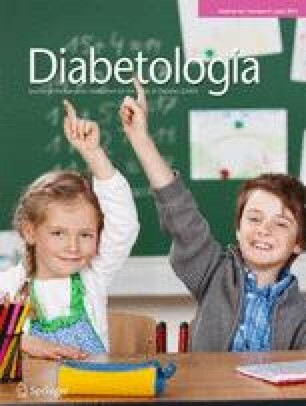 Although the increased plasma insulin response in that study occurred in the presence of glucose intolerance, there was no major blunting of insulin secretion on p110α inhibition. An acute positive role for p110α is also supported by a recent report showing that p110α inhibition increases secretion of an intestinal peptide secreted from N cells in the small bowel by increasing granule trafficking . The increased GSIS, observed with both specific pharmacological inhibition and knockdown of p110α, was paralleled by an increase in beta cell exocytosis, while infusion of recombinant PI3Kα had the opposite effect. The increased exocytosis cannot be explained by alterations in membrane potential, which was clamped in these experiments. Likewise, we observed no significant differences in Ca2+ channel activity or [Ca2+]i responses. We observed a 22% decrease in the density of cortical secretory granules following p110α knockdown. However, the robust increases in insulin secretion and exocytosis under this condition suggest that cortical granule density was not limiting. If anything, the lower granule density here results in an underestimation of the effect of p110α knockdown on exocytosis per se. Thus we conclude that p110α exerts a negative effect on insulin secretion by limiting Ca2+-dependent exocytosis. Although the exact mechanism is unclear, our results are consistent with a recent report  demonstrating that PIK-75 (at a non-selective concentration of 0.3–3.0 μmol/l) promotes the fusion of newcomer insulin granules without affecting intracellular Ca2+ responses or previously docked granules in a PDK1-Akt-dependent manner. In contrast, p110β is a positive regulator of insulin secretion. The decreased secretion following p110β knockdown is paralleled by impaired single-cell exocytosis. Although we cannot entirely rule out a role for impaired Ca2+ responses under this condition, as the [Ca2+]i response to glucose was slightly decreased, this seems insufficient to explain the large reductions in GSIS and exocytosis. The impaired exocytosis could be explained by the >60% reduction in cortical secretory granule density, though the exact mechanism remains to be determined. Unlike the effect of inhibiting the type 1B p110γ isoform , we observed no change in the cortical actin network following p110β knockdown as observed by TIRF microscopy. It should be noted, however, that at present we cannot rule out a role for altered actin reorganisation at earlier time points or at levels beyond the resolution of TIRF microscopy following p110β knockdown. That pharmacological p110β inhibition did not affect GSIS or exocytosis is consistent with the lack of effect of a p110β inhibitor on glucose metabolism in vivo , and suggests that p110β can act in a lipid-kinase-independent manner. That the inhibitory effect of p110β knockdown is rescued by re-introduction of PI3Kβ, even when TGX-221 is present, and the identical ability of p110βWT and the inactive p110βK805R mutant to facilitate exocytosis, support an important kinase-independent role for p110β in insulin secretion. This is in line with previous reports suggesting kinase-independent roles for p110β in clathrin-mediated endocytosis , non-catalytic oncogenic activities  and regulation of extracellular signal-regulated kinase (ERK) phosphorylation . In summary, p110α and p110β have opposing roles in beta cell function in humans and rodents. The p110α isoform is a negative regulator of insulin secretion that acts by limiting Ca2+-dependent exocytosis, while p110β is a positive regulator of insulin secretion that acts by promoting Ca2+-dependent exocytosis independent of its catalytic activity. Loss of the type 1A PI3K pathway, as proposed to occur in diabetes, may impair the acute secretory response in a manner that will depend on the specific isoforms affected. A loss of p110β production per se may impair insulin secretion independent of a reduction in PI3K signalling. The authors thank N. Smith for excellent technical assistance, K. Suzuki (University of Alberta) for help generating the inactive p110β mutant, C. Newgard (Duke University) for providing INS-1 832/13 cells, and A. Tengholm (Uppsala) for providing the GFP-PHAkt construct. The authors also thank the Human Organ Procurement and Exchange (HOPE) program and the Trillium Gift of Life Network (TGLN) for their efforts in procuring human pancreases for research. This work is supported by an operating grant to P. E. MacDonald from the Canadian Diabetes Association. Funding for human islet isolation was provided in part by the Alberta Diabetes Foundation and the University of Alberta. J. Kolic and C. Hajmrle are supported by studentships from Alberta Innovates-Health Solutions (AI-HS) and the Canadian Institutes of Health Research. P. E. MacDonald is an AI-HS Scholar and holds the Canada Research Chair in Islet Biology. The authors declare no duality of interest associated with this manuscript. JK, AFS, GP, EL, CH, TK and JEMF contributed to data acquisition, analysis and interpretation. AMJS and PEM facilitated experiments through the provision of reagents and data analysis. JK, JEMF and PEM designed the study. JK drafted the manuscript. All authors took part in the revision of the manuscript and approved the final version.